Peter J Svensson studied at Lund University and did his training at the University Hospital in Malmö, Sweden. He specialized in Internal Medicine, Hematology and Coagulation Disorders. Since 1991 he has worked at the Malmö Centre for Thrombosis and Hemostasis. 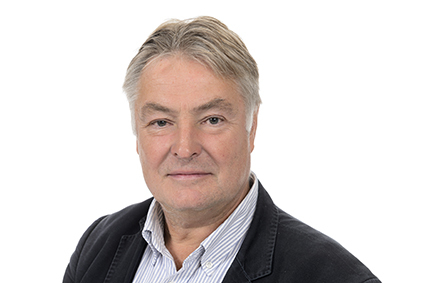 Peter J Svensson is involved in the training program for residents at Skåne University Hospital. He was the director for education of residents at Skåne University Hospital until 2014. He is presently professor in Coagulation Medicine at Lund University and senior consultant at Skåne University Hospital in Malmö. His research interests are thrombophilia and anticoagulation. He is director for the national quality registry "Auricula" in Sweden. He has been principal investigator for several clinical and research studies and is a reviewer of numerous scientific journals such as Journal of Internal Medicine, Journal of Thrombosis and Hemostasis. He has published around 150 papers in peer-reviewed journals and has been the editor for a number of major textbooks. At present Peter J Svensson is the director of undergraduate students at Lund University. Xiao Wang, Kristina Sundquist, Peter J. Svensson, Hamideh Rastkhani, Palmér, K., Ashfaque A. Memon, Jan Sundquist & Bengt Zöller, 2019 Feb 13, In : Clinical Epigenetics. 11, 1, 28. Zindovic, I., Johan Sjögren, Henrik Bjursten, Richard Ingemansson, Ingimarsson, J., Mårten Larsson, Peter J. Svensson, Strandberg, K., Wierup, P. & Shahab Nozohoor, 2019 Feb 11, In : Journal of Cardiothoracic and Vascular Anesthesia.